Throw a little plaid into your wardrobe rotation with Dickies Girl Juniors’ Long Sleeve Plaid Logo T-Shirt. 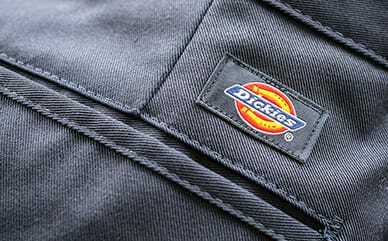 Made with a Dickies logo filled with plaid, it gives off a holiday vibe perfect for any cold-weather month. The long sleeves and longer hemline keep you warm, while the ribbed cuffs keep the cold weather out. A cotton blended fabric makes it a comfortable and durable choice to tackle your day.